If, like me, you more commonly associate optics with those spirits dispensers behind the bar at the local pub, then you are not up to speed with the jargon of modern diplomacy. Optics was the mot du jour yesterday after Donald Trump's meeting with Kim Jong-un. In the world of international summits, optics are what something looks like, and in Singapore everyone agreed the optics were great, even if questions remain over the substance of the agreement to denuclearise the Korean peninsula. The US president was delighted with the staging of the summit and its outcome. To his mind, it showed his way of doing things worked. In Canada, by contrast, the optics were appalling. At the G7 summit in Quebec we saw a seated president, arms crossed and stony-faced, being berated by the other leaders, with Angela Merkel, in full 'mutti' mode, leading the charge. This may come to define a new geopolitical age, one where the American president seems happier in the company of despots and dictators such as Kim, Xi Jinping and Vladimir Putin than with fellow democrats. The former are those who get things done because they don't have to play by the rules. Mr Trump would like to do the same if he could get away with it. Indeed, he showed as much in Quebec where his disdain for the conventions of international summitry was evident. It is on the issue of trade that the global order is most under threat after the US threatened higher tariffs on steel and aluminium imports from its own trading allies as well as China. Indeed, the Americans even objected to the inclusion of any reference to a "rules-based international order" in the official G7 communiqué, which Mr Trump then refused to endorse. 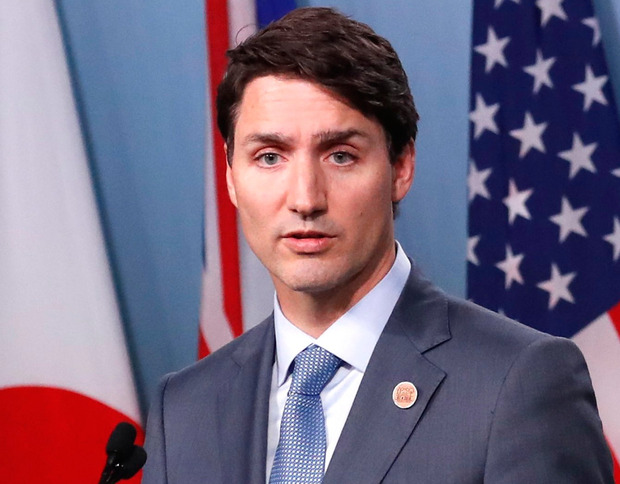 The threat of retaliation by Canada and Europe presages a trade war which will hurt everyone, not only by pushing up import prices and risking jobs, but by making the future less certain for businesses and investors. This has a potential impact on Brexit. The UK government hopes to strike a bespoke agreement with the EU and then do the same with America, India, Australia and the rest. But this relies on everyone playing by the rules; and they no longer are. This is not a good time to head off into the wide blue yonder to take advantage of globalisation if barriers are going up around the world. Instead of ganging up on Mr Trump in Quebec, the other G7 leaders - Theresa May especially - should have listened to what the US president had to say about trade. He invited them to discuss getting rid of tariffs altogether. "No tariffs, no barriers. That's the way it should be. And no subsidies," he confirmed later. "I even said, 'no tariffs'." Was Quebec the chance to open up world markets to free trade, something visionary Brexiteers wanted the UK to agree to unilaterally but which is rapidly receding from view? Had Justin Trudeau taken Trump at his word and put the idea on the agenda, who knows what the optics would have looked like then. That really would have been a deal worth making.